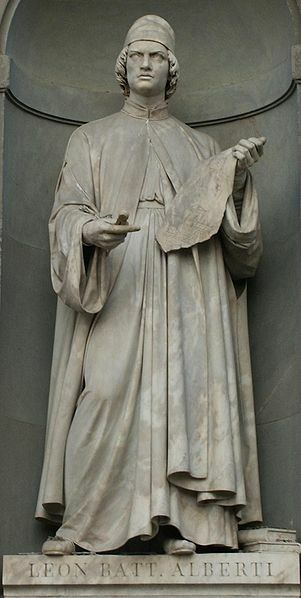 Leon Battista Alberti, architect, a literary man and poet ( Genova 1404 - Roma 1472 ). Exiled in Florence he moved to Venezia, studied at Padova and at Bologna where in 1428 he took his degree in canonic rights. In 1410 - 1434 at Rome, He became a member of the vatican Chanchellor's office under the rule of Pope Eugenio IV. In 1434 cuold finally return to Florence, the city of his ancestors, where he joined the humanistic club of San Marco and had his first contact with the Florentine Renaissance art. He was deeply struck by the works of Brunelleschi, Masaccio and Donatello. He wrote "De Statua" in which for the first time proportions of the human body was analysed and "De Pictura" Dedicated to Brunelleschi, in which the theory of representing in perspective was explained for the first time. Alberti projected his best works in Rome, Mantova and Rimini. 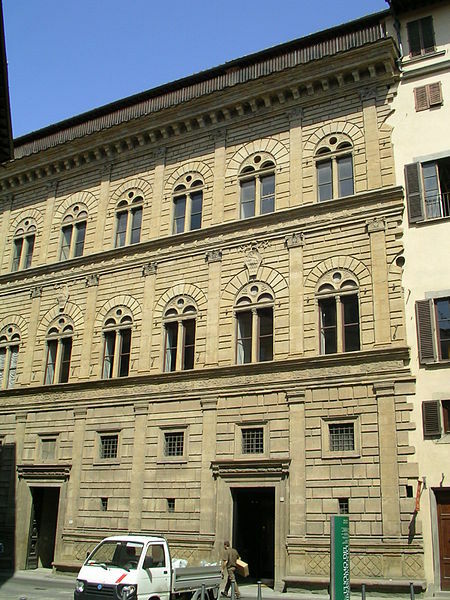 In Florence however he created il Palazzo dei Ruccellai ( Della Vigna Street ) in '445 which today is the seat of the Alinari Museum. In the same year he was charged by Marchese Ludovico Gonzaga to build the Pulpit of the SS. Annunziata. 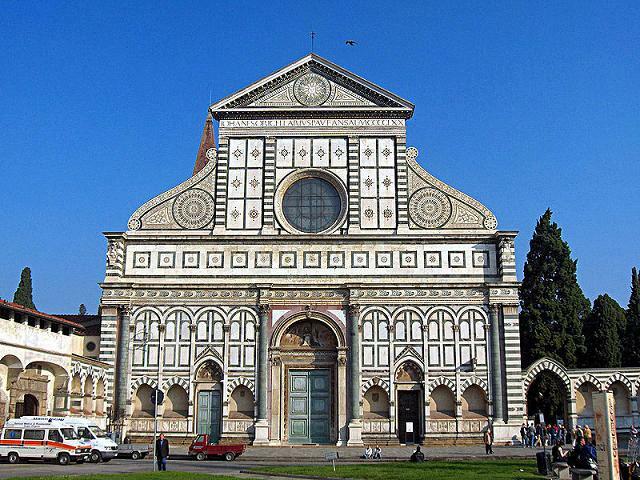 He also completed the top part of the fagade of the Basilica di Santa Maria Novella (1470 ) covering it with marble and risolving the whole in a geometrical proportion.